The sequel to Noughts & Crosses, this novel is if anything even more disturbing. It is set in the same nightmare apartheid situation within an imaginary country where black people are on top and everyone else is treated as third class. Sephy now has her mixed race baby, whom she must try to raise against the suspicious of both social groups. And then there is Jude, her young terrorist brother-in-law so psychopathic that even Robert Cormier would have been proud to have created him. For a while nothing too bad happens, and there is a pleasant interlude when Sephy nearly makes it as a pop star. But the author clearly feels that the type of racial hatred she writes about is so inherently evil that everyone involved must eventually suffer from it, and the story ends in murder, blackmail and an attempt at infanticide. 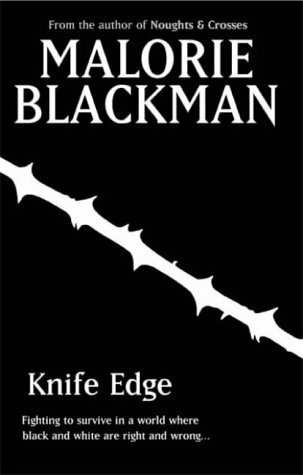 No happy endings, then, but there is a third volume still to come in what is a genuine literary achievement from Britain's leading black writer for teenagers.